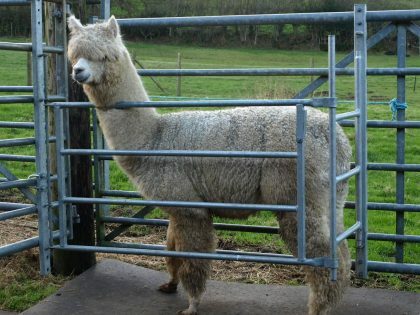 Are your alpacas giving you the run-around? Are you tired of waiting for a friend to give you a hand? Do you want to cut down on your part-time labour costs? Geoff and Brenda have kept alpacas since 1998 first at Bettiscombe in the Marshwood Vale and now at Payne’s Down Cottage, Marshwood. 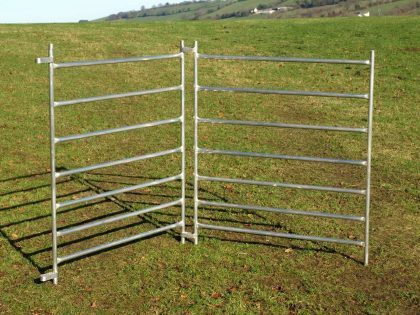 We are alpaca breeders, who also manufacture and sell a wide range of alpaca equipment, including hurdles and gates, as well as our famous Alpaca Easy-Pen! 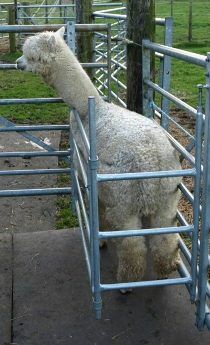 The Alpaca Easy-Pen enables one person, without help, to easily catch and restrain/hold the alpaca for treatments. 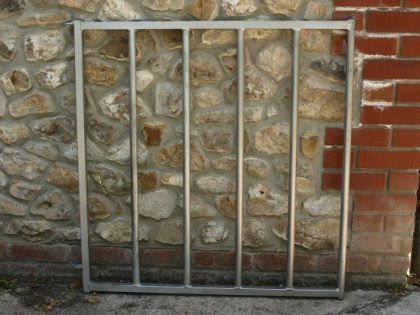 We have a range of Aluminium or Galvanised Steel Hurdles 4ft, 6ft or 8ft wide x 4ft height with 7 rails per hurdle.